Many applications with respect to compressed gas and vacuum require the use of understanding and experience of applying orifices. Applications include pressure and vacuum measuring devices, control valves, anticavitation valves, various material handling processes, agitation of liquids and slurry's to mix, prevent settlement of solids, or accelerate oxidation or fermentation. 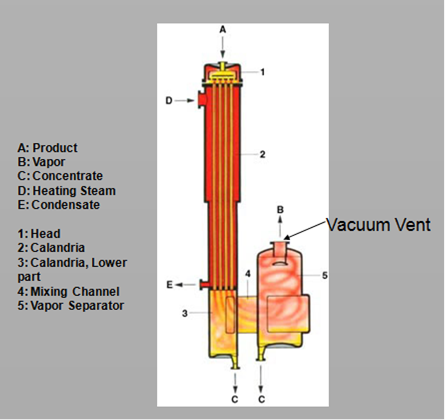 The flow of gas through pipes and orifices is usually measured in cubic feet per minute as this is the unit of measure used when designating compressors and vacuum pump capacities. The flow of air may also be measured in linear feet per minute (LFM), usually called velocity. Velocity is the rate of flow past a certain point. Just before a flowing fluid at a certain pressure and temperature reaches the orifice it's forced to converge, creating a higher pressure upstream of the orifice. As the fluid passes through the orifice it expands (velocity reduces) creating a lower pressure on the downstream side. When the flow rate through an orifice is subsonic (velocity less than Mach 1) a reduction of backpressure will increase the mass flow through the orifice until the pressure is lowered to a critical level. At this point of critical pressure differential the flow rate stops increasing all together. The flow is said to be choked, the velocity at the orifice has just reached sonic (Mach 1) and will no longer increase no matter how much further the downstream pressure is reduced. Consider a hole 1/10 of a square foot in area and the air is flowing through the hole at a velocity of 500 ft. per minute, then we have a flow of (1/10 x500) 50 cubic feet per minute. Because many different final shapes of orifices are possible, and these different shapes have a large effect upon the flow of gas through them, coefficients have been assigned to approximate the flow. For example an orifice with a well rounded entrance has a .98 coefficient assigned and will pass nearly twice as much air per minute compared to an orifice with a sharp entrance which has a coefficient of .53. When dealing with a number of small orifices, the volume of air that will pass through them per minute is the same as will pass through one large orifice having an area equal to the sum of the areas of the small orifices. Where W = Weight of gas in lbs./cu.ft. Therefore it can be seen that the volume varies directly as the coefficient of the orifice, the square of the diameter, the square root of the pressure, and the square root of the reciprocal of the weight. Since air has a weight of .0766 and hydrogen .0053 lbs. per cu. ft. it can be seen from the above formula that the light hydrogen will flow about four times as fast as air.